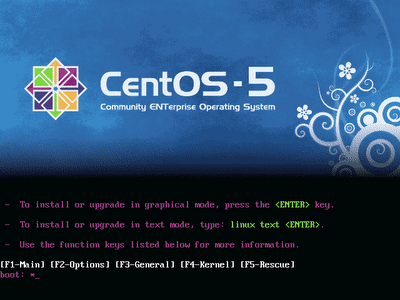 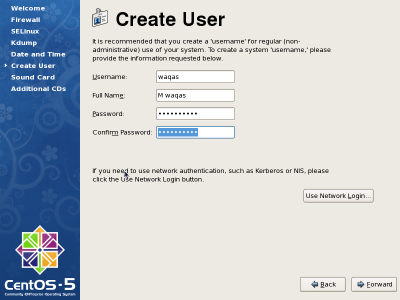 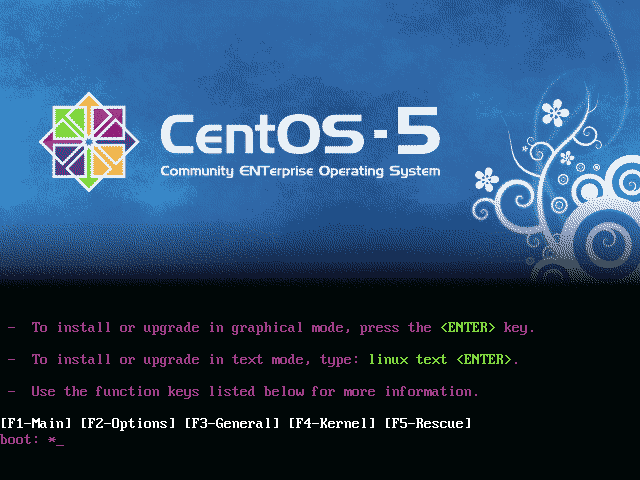 For Centos 5.5 installation on GNS3 you need to create centos 5.5 VM on virtual Box, for this you can visit Createlinux virtual machine in Virtual Box. After creating the VM click on start button to start VM (virtual machine). Press enter for starting setup. 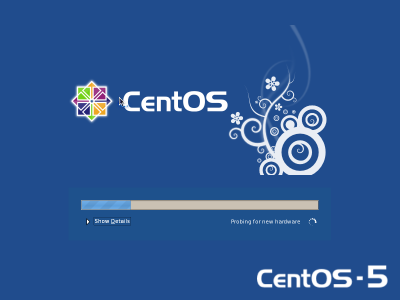 Centos 5.5 setup start loading the OS installation start up files. 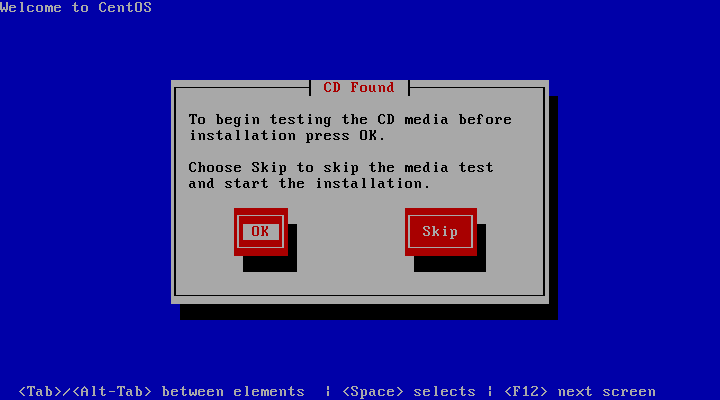 After completions of loading, setup ask you for checking installation media (DVD), you can skip this process or check the installation media for errors. 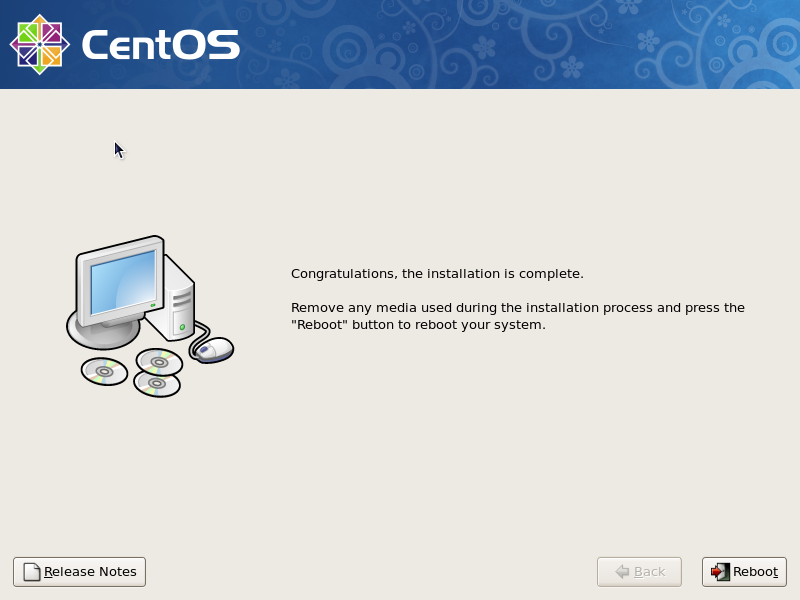 I simply skip this process. 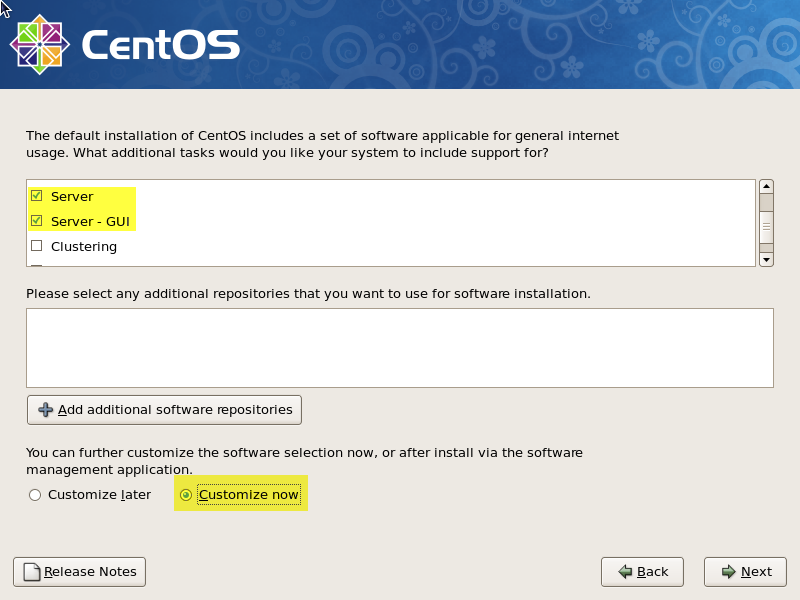 In next step you need to choose partition for your HD, just select the default setting click on next it will asked you for full format click on yes. 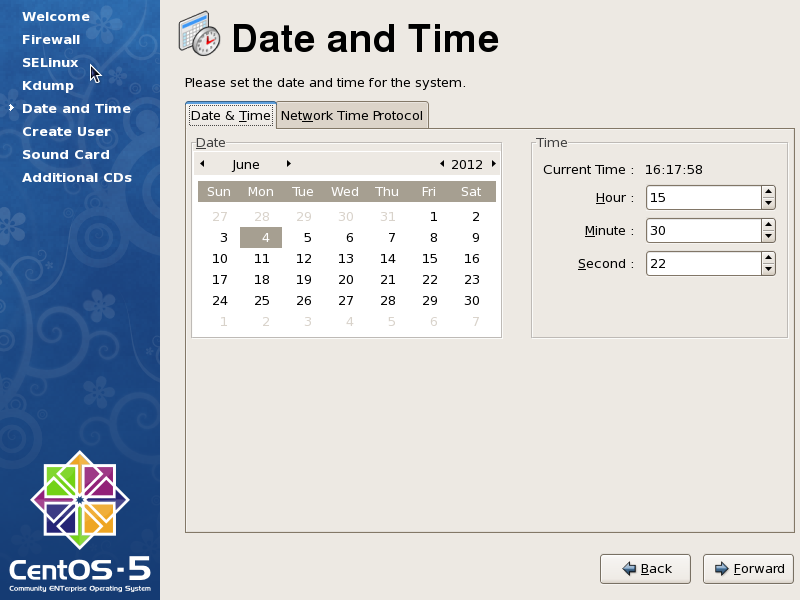 In network setting you can choose DHCP for automatic IP or use manage IP setting according to your requirements. 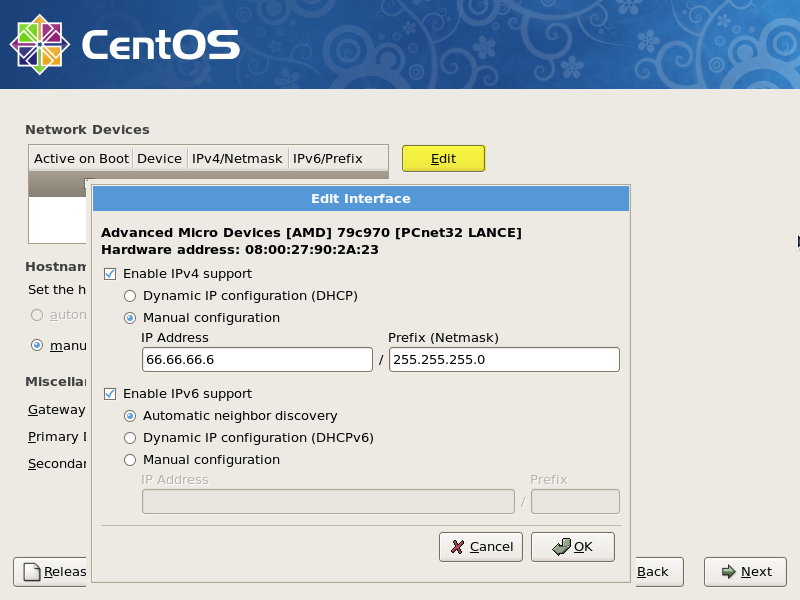 I assign manual IP setting for my VM, you can also change these settings later. Also I didn’t assign any gateway setting for my VM that way this is showing this following error. 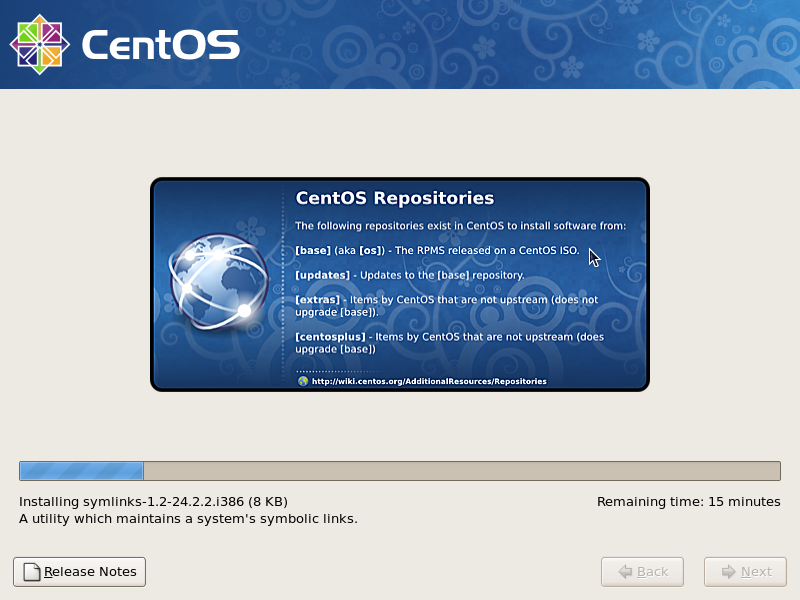 I just ignore this message. 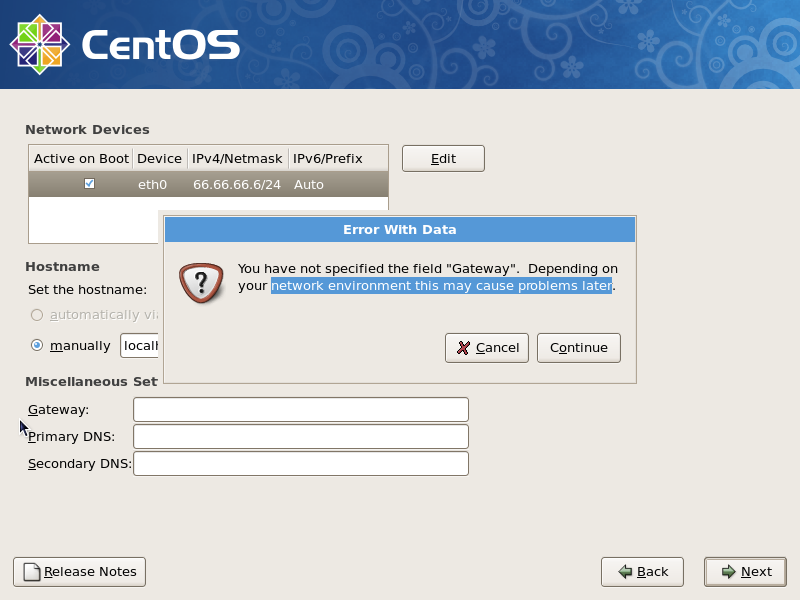 If you want to complete you VM’s IP setting then provide the gateway and DNS. 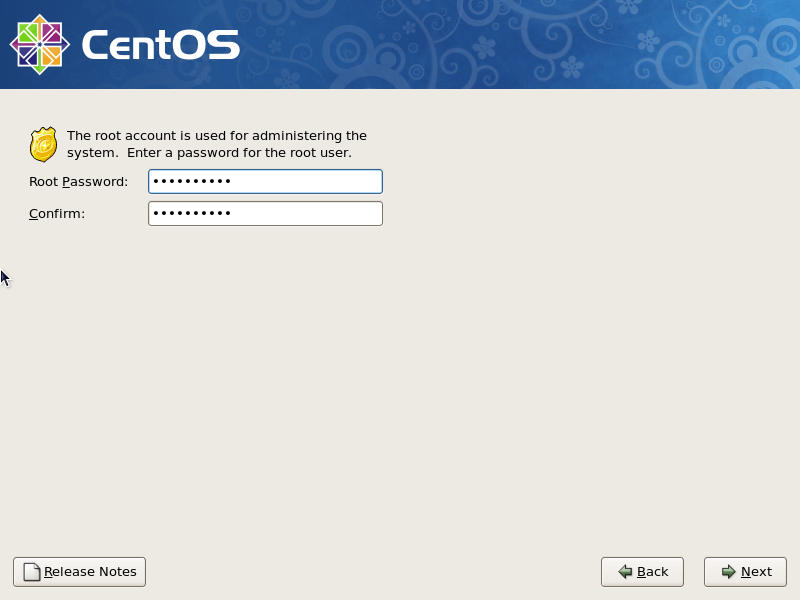 Provide root password, root is built in user in centos like administrator in windows. 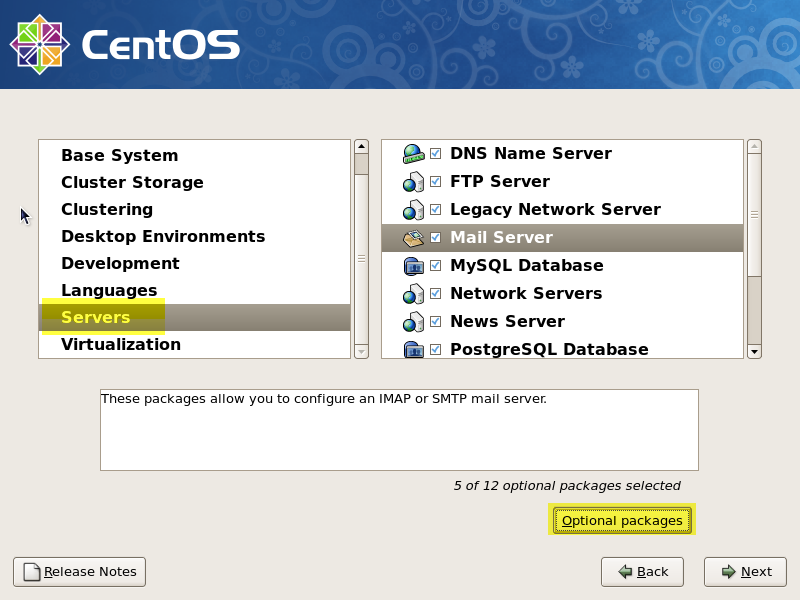 Select required packages for your OS according to your requirements and you can also customize these packages; I have chosen server packages according to my requirements. Click next for start installations. 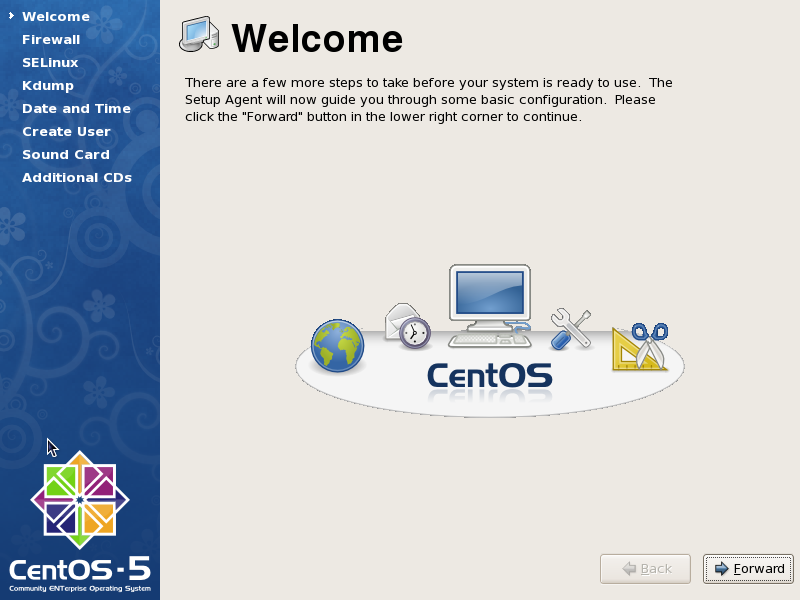 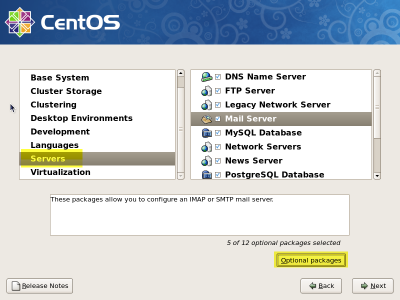 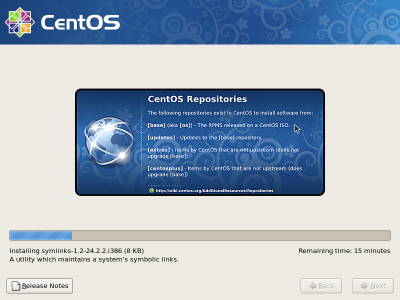 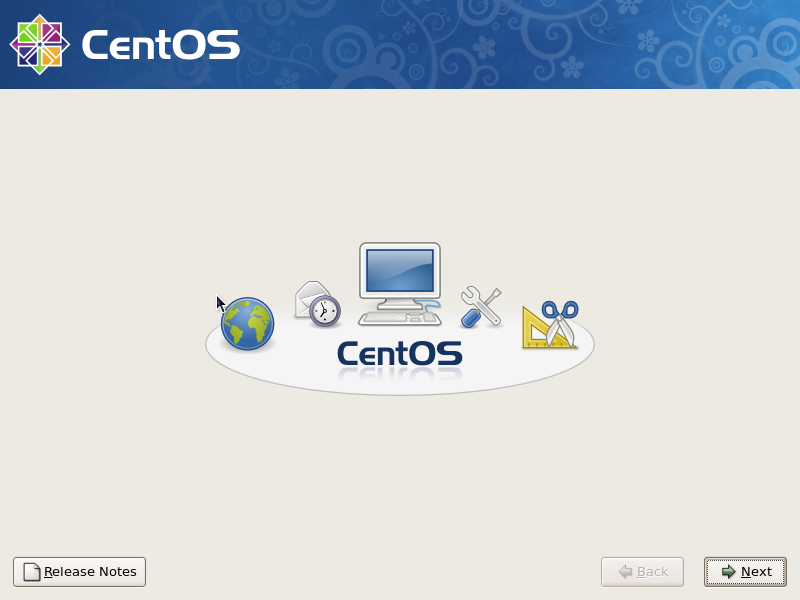 Setup will start installing OS packages of Centos 5.5. On completion of installation reboot your system. 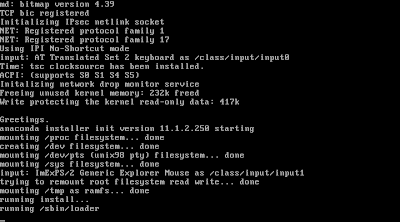 After reboot you find the startup screen. A new wizard will start when you boot centos 5.5 first time. 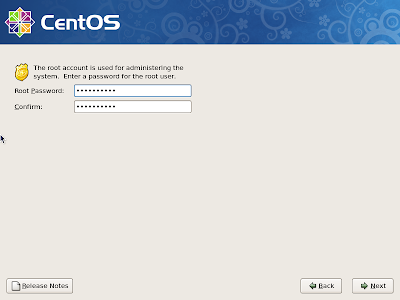 In firewall setting enable your required protocols. 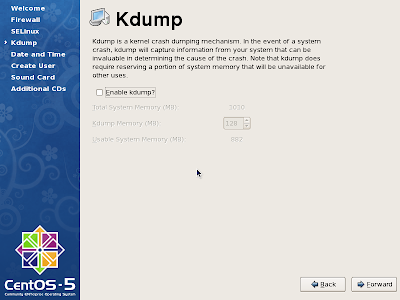 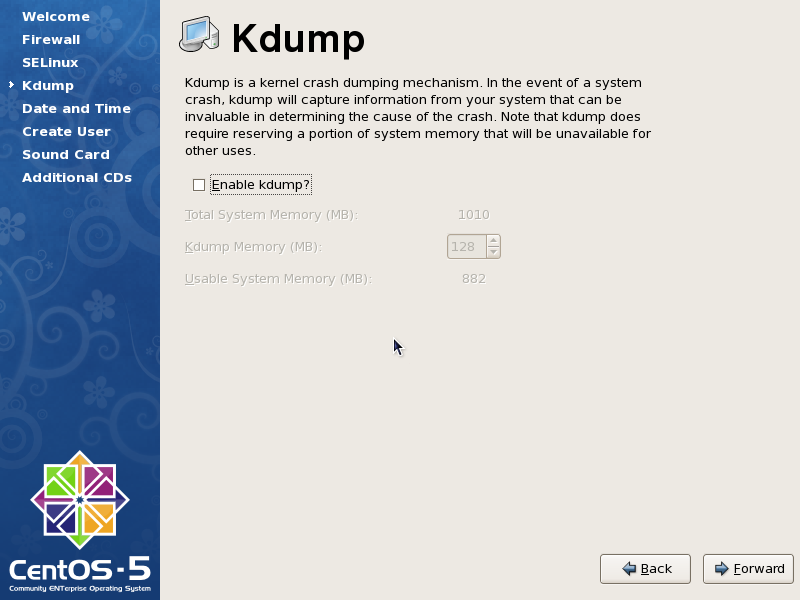 Kdump is a kernel crash dumping, if you need this feature just check the respective check box. 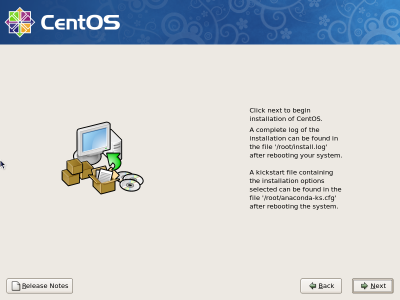 Crate some user if you needed. 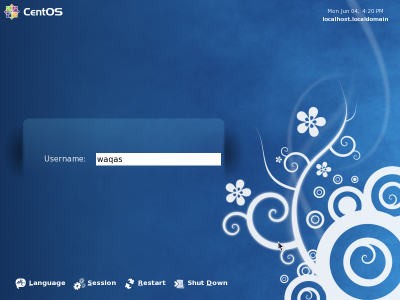 now Login screen is appear, use your user name password to login. 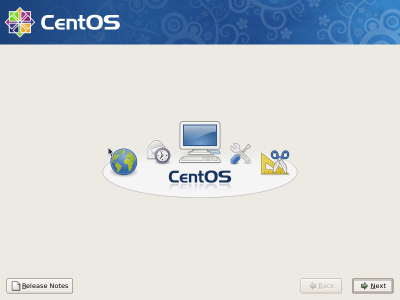 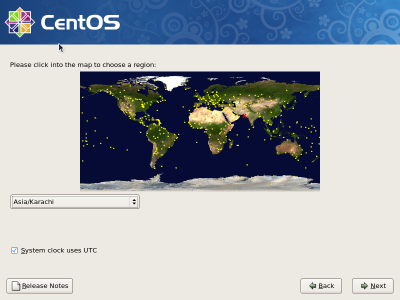 I want to Know, "HOW TO INSTALL A FLASH PLAYER IN CentOS?".. 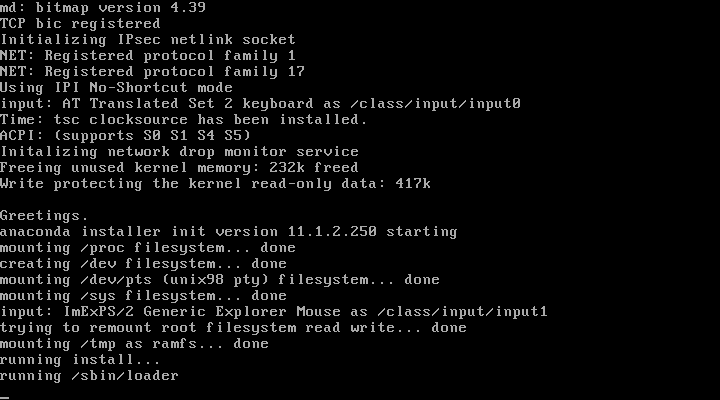 Please Inform me... Please..
i like your blogs information.